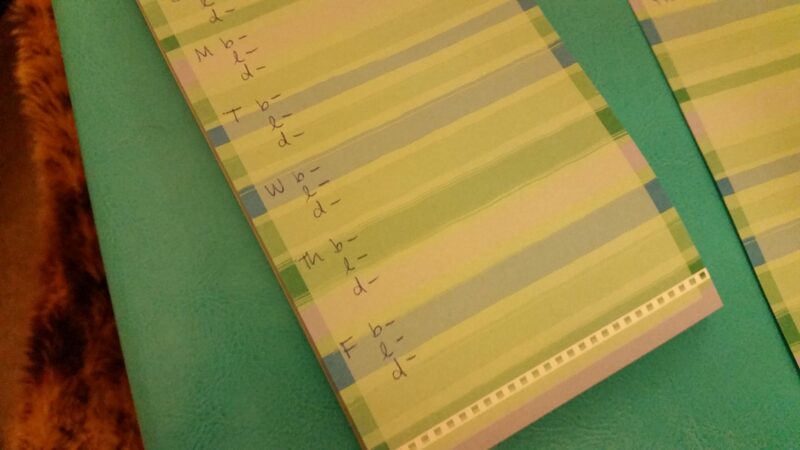 Recently, I have had a lot of people ask me about my meal-planning habits. I described this a little bit in my last post about adding variety to your life (check it out here). 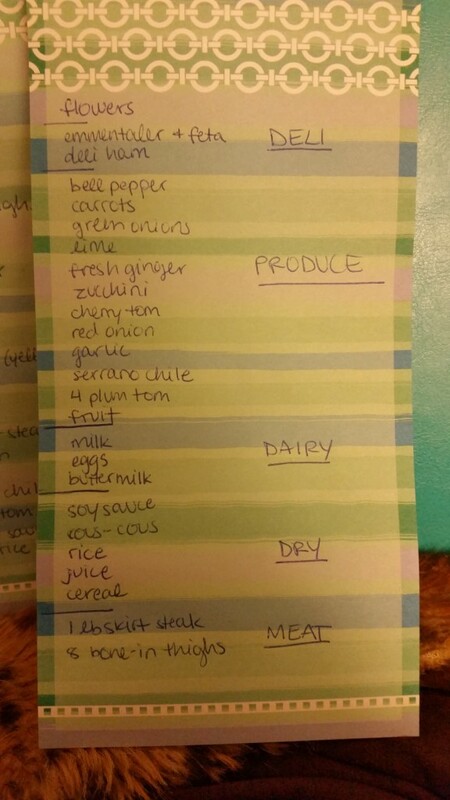 Here is a more in-depth look into how a super-organized foodie gets her daily dose of nutrients (deliciously). I plan my meals by the week, and I usually start this process on a Thursday or Friday, whenever I happen to have a moment at home to myself. 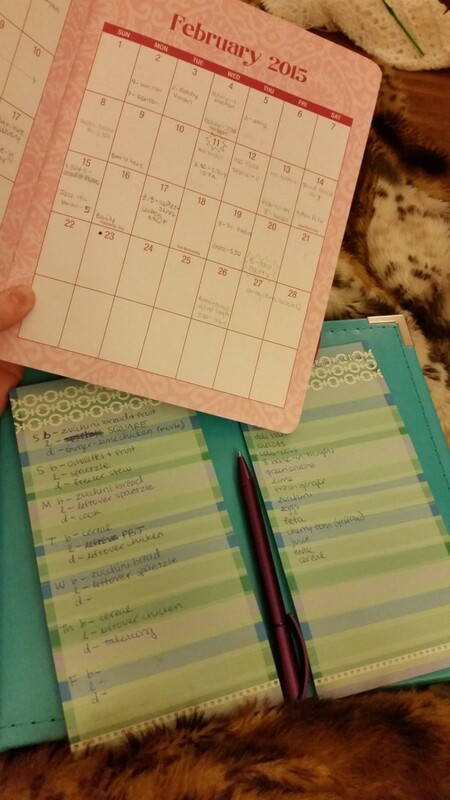 I get out my stack of handy-dandy cookbooks, a lovely writing pad, and my weekly planner. Then, the magic begins. This sounds impossible for a college student with little time and little money. However, I am here to show you that having a varied diet can be achieved! This way of living is, for me, essential to keeping life interesting. 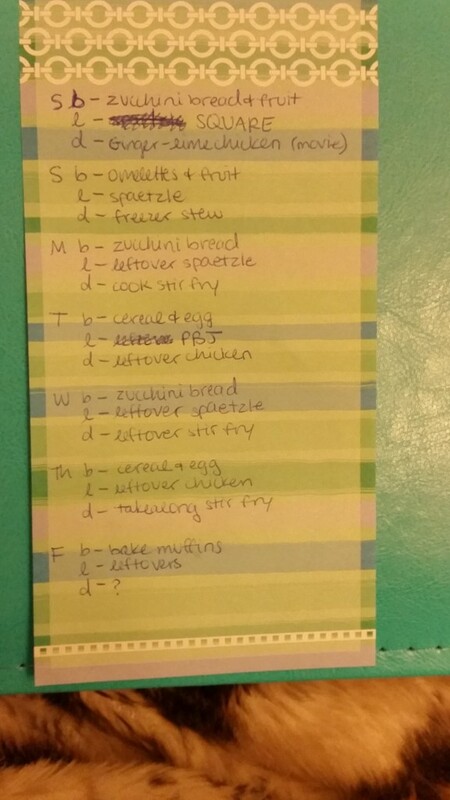 To begin, I set out a weekly meal template. I’ve seen examples of these in printables, planner pages, and all over the Pinterest boards– but I keep things simple by just using a disposable pad. One of these days, I will get around to making myself a dry-erase meal planning picture frame, like this one here. For now, the college student remains using ancient tools of notation. Next, I select the days and times when I plan to cook. Usually I will cook three recipes per week, and this plus reaching into my freezer stores keeps me well-fed on my own. This week, I am feeding a friend for the weekend, and will need to cook more often. This is the key step to finding variety and not ending up with days upon days of leftovers. A busy college student can hardly manage to cook something every night of the week (ain’t NOBODY got time for that), and so we have to make do with what we have! Planning which days to cook ahead of time will save you a lot of stress and hassle. Then, the fun begins. I select a recipe for each cooking time. This week, the recipes I plan to create are Classic Austrian Kaesespaetzle, Ginger-lime Chicken Thighs with cous-cous and carrots, Peruvian Steak Stir-fry, and Zucchini Bread for breakfast. To finish my menu, I fill in the remaining spaces with anticipated leftovers. It takes a little bit of practice to tell how much a recipe will make, but I try to leave in one extra meal for leftovers each week just in case I mis-judge. I fill in my leftovers like puzzle pieces, making sure no two same meals are side-by-side. Mix it up! This part easy! If I’m feeling super on top of things that week, I will reorganize my list into categories that correspond with the sections of the grocery store. This way, my shopping is efficient, and much easier. Now that the plan is laid, the groceries are bought, and the recipes are lying on the counter ready to go, I can simply breeze through my week in the comforting knowledge that a healthy, delicious, home-cooked meal will be waiting for me three times a day. Take a look, try out the system if you wish, and enjoy a week full of interesting and varied meals!